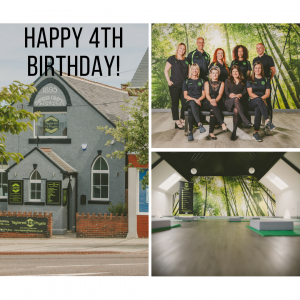 On the 1st September we celebrated our 4th business birthday. It is a day which has approached with such speed it has arrived before I was ready! I sit and feel extremely proud, very grateful and so excited to see where we’ve come from, and to see where the next 4 years will take us and our business. 4 years ago, I started the business in one of our bedrooms at home, coinciding with Josh, our youngest, starting nursery. 3 years ago I began renting a room at the beautiful Ren clinic in Durham, allowing Mark, my husband, to begin working within the business. It was also an opportunity to ‘stick my toe in the water’ to see if premises was where we wanted to be. 2 years ago we made a decision to begin looking for commercial premises, which took our search all over county Durham, to old premises, industrial units, small villages and city locations. 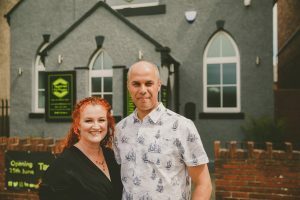 We knew then, we wanted something with a story, with soul and 1 year ago, we found and purchased the beautiful old Baptist chapel in Langley Park. And here we are. 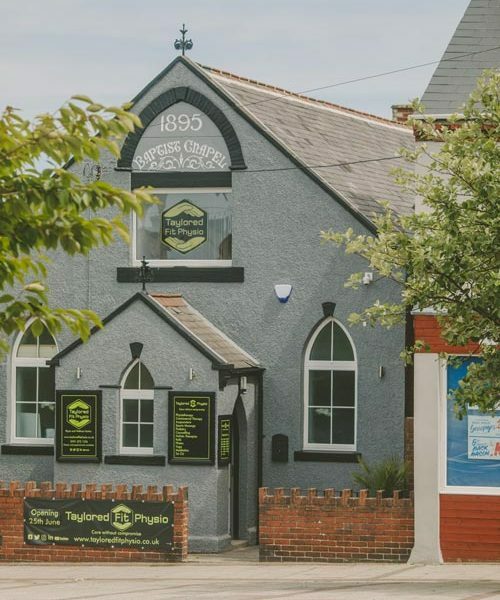 Our own premises, with 5 treatment rooms and a studio, surrounded by amazing clinicians and instructors, with our first ‘employee’ (our fabulous receptionist!). I never imagined in a squillion years we’d have taken on something as big, as gorgeous, as full of heart, soul and history. I love being in the building. It fills my heart with such warmth and pride. I love going to work every day. I love the variety of people who come through our doors. Although I qualified as a physio over 25 years ago, I feel more inspired, more enthusiastic and more fulfilled in my role than I have ever done before, and for that, I am extremely grateful to the amazing patients who have sought advice, treatment or guidance from us. Thank you. Every business birthday for us is about reflecting on the previous year, and trying to plan the year ahead. The last 4 years have not been easy, I have had a huge amount to learn, and learn quickly. I have worked more hours with less income than ever. I have lost friendships of people I considered as true friends. Whilst this saddened me at the time, my life is full of people who I have met since I started the business, most of whom are self employed. They get me, they get what it is to run your own business, they get the ups and downs, the positives and negatives. I reflect and know my life is far richer because of them. You know who you are! Are birthdays always happy? The 1st of September is always, and will always be, tinged with a sadness, an emptiness and a heavy heart. On the 1st of September, 10 years ago, my beautiful, amazing and gorgeous mum died. If I could have one more moment, one more giggle, one more phone call, one more hug, I would grab on so tight I would never let go. I think of mum every single day. When something amazing happens, I want to tell her. When I am busy, stressed or overwhelmed, I know she’d have the words. In quiet moments, in middle of the night moments, I picture her smile and her knowing eyes, and I am ok. I see her everywhere, glimpses in people, family, strangers. In mannerisms,a glimpse of curly ginger hair,a laugh, a walk, a white feather.She is near. In looking for crossword clues, she’d know. The recipe for crumbles, quiche and the best yorkies, a phone call away. Losing mum has given me less tolerance of people or things which do not bring joy, and an appreciation of people, friends and family whom I would be lost without. I speak my mind, with humour where I can, and give feedback readily to those who will listen. 4 years mum – can you believe it. Dad said I could do it – lots of people said I couldn’t. I wish you were here mum, your facial expression would say it all, and I know you would be so proud. Mum’s maiden name was Taylor. And you guessed it, when Mark and I were sat at the kitchen table thinking of names for the business, it felt right and fitting that mum would feature in there somewhere. Tayloredfit… we love it, it fits with our ethos and treating every patient as an individual. There is no ‘one size fits all’ approach here. We listen, we treat, we care. Our strap line ‘care without compromise’ summarises where we are at, and what we strive for every day. We ensure other clinicians and instructors who work with us, have a similar passion, drive and enthusiasm. If they don’t, it won’t work (and our patients spot it a mile off!). 4 years ago, I was a sole practitioner. We now have a receptionist, 2 physios (Mark and I also offer craniosacral therapy, acupuncture and pilates), a sports massage therapist, a counsellor, a podiatrist, a chiropodist, an acupuncturist, 3 yoga teachers and 2 other pilates instructors. A Bowen practitioner is joining the team in October and I’m in discussion with other, like minded people with plans for other services, classes, a meditation/mindfulness course, and hosting other events. Thank you my friends, for taking the time to read my waffle!